The trail which was opened in 1993 is located in the North West New Territories on the fringes of the new town of Tin Shui Wai and was the first of its kind in Hong Kong. Its inauguration involved several years preparation by the Antiquities and Monuments Office and the Architectural Services Department with generous financial support from Hong Kong Jockey Club and Lord Wilson Heritage Trust and the cooperation of the Tang clan, one of the “Five Great Clans” in the New Territories, who built many of the historic buildings along the trail, and who have inhabited the area since the twelfth century. Located just outside Fanling in the North East New Territories, the Lung Yeuk Tau Heritage Trail was opened in 1999. The name Lung Yeuk Tau was derived from the nearby mountain range Lung Yeuk Ling (Mountain of the Leaping Dragon) whose name came from the legendary saying that there was once a dragon leaping in the area. 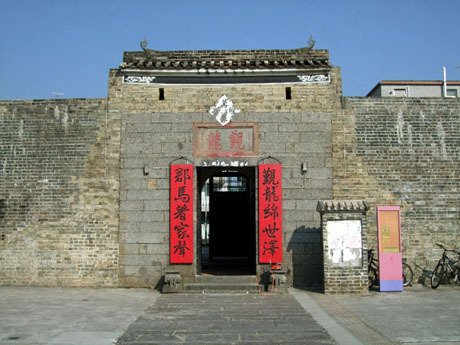 Lung Yeuk Tau is another Tang Clan area (see Ping Shan Heritage Trail) and the Tangs of Lung Yeuk Tau, who originated from Jishui in Jiangxi province, have the strongest claim of royal descent among their fellow clansmen being descendants of the eldest son of the princess of the Southern Song Dynasty (1127-1279). When the princess took refuge in the south she was married to Tang Wai-kap of Kam Tin. The eldest son of the royal couple moved to Lung Yeuk Tau at the end of the Yuan dynasty and as the clan prospered it spread out to the neighbouring area and established the “Five Wais (walled villages) and Six Tsuens (villages)” which form part of the heritage trail. The Tangs still practice traditional village customs some of which include a Tin Hau Festival, a lantern lighting ceremony for new born baby boys on the fifteenth day of the first Lunar month. On the first day of the second Lunar month there is an ancestral worship ceremony and vegetarian feast. Once every decade the Tai Ping Ching Chiu Festival (meaning “the Purest Sacrifice Celebrated for Great Peace”) is held and celebrated by the whole Tang clan and people from surrounding villages. Many traditional Chinese buildings and structures such as temples and ancestral halls, walls and entrance gates of walled villages and residences still retain their original appearance and can be visited along the trail. Wan Chai is one of Hong Kong's earliest settlements and has an interesting heritage, possessing many fine historic buildings from different periods. The district was once the home of high-class residences for rich Europeans and foreign merchants and shipyards were built along the shores of Wan Chai Bay before reclamation eventually saw the transition from small fishing village to modern urban metropolis. During 2007 in order to address increasing public concern over conservation the Old Wan Chai Revitalisation Initiatives Steering Committee was formed to study the cultural heritage of Wan Chai and on 27th September 2009 the Wan Chai Heritage Trail was launched. Wan Chai District Council, The Development Bureau, Urban Renewal Authority, MTR Corp, St James' Settlement and Wan Chai District Office are all partners in the revitalisation project. 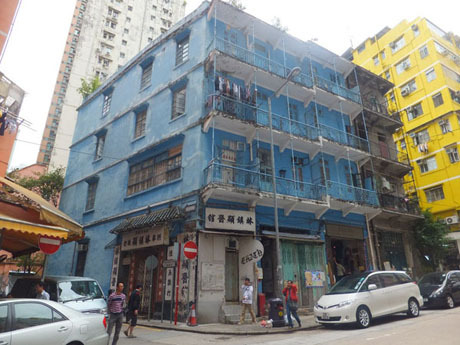 The Urban Renewal Authority is still negotiating with other building owners in Wan Chai with a view to renovation of other historic properties and the Wan Chai model will be used as the basis for other similar conservation projects in other districts of Hong Kong. 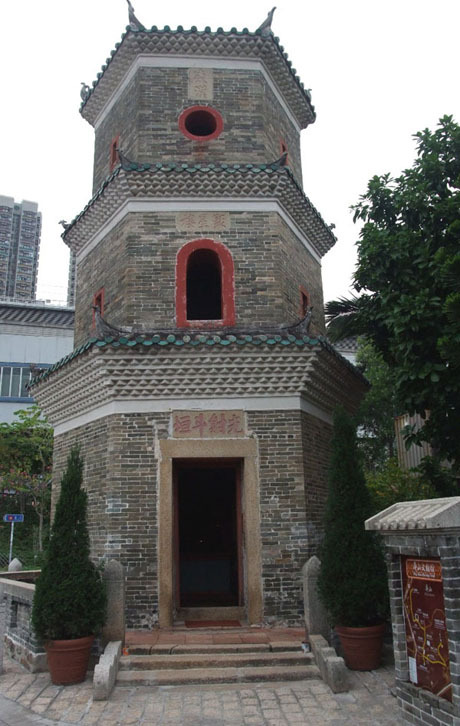 During 2009 the Hong Kong Antiques Authority on the recommendation of the Antiques Advisory Board declared some 41 historic waterworks structures as monuments under the Antiquities and Monuments Ordinance to ensure their important heritage is protected and preserved. 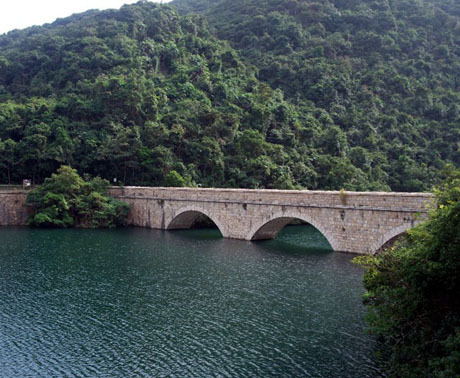 21 of these monuments are contained within Tai Tam Group of Reservoirs and in September 2009 the 5km Tai Tam Waterworks Heritage Trail set in the scenic and tranquil surroundings of Tai Tam Country Park was opened. The Tai Tam Group of Reservoirs comprises Tai Tam Upper Reservoir, Tai Tam Byewash Reservoir, Tai Tam Intermediate Reservoir and Tai Tam Tuk Reservoir and the structures include dams, pumping stations, valve houses, staff quarters, aqueduct and bridges. Most of these historic facilities are still intact and in operation. A total of 10 information stations have been set up en route to explain the function and historic value of these monuments. The trail runs from near Hong Kong Parkview at Wong Nai Chung Gap downhill through the country park to Tai Tam Bay. The trail was established with generous financial support from the Hong Kong Jockey Club Charities Trust and links historic buildings and sites enabling visitors to develop a better understanding of the growth and development of these districts. Taipingshan District on Hong Kong Island was, in the 1840's, the earliest district in Hong Kong to be reserved for the Chinese population to reside in. Neighbouring Sai Ying Pun District was developed a decade later. With a rapidly expanding population, these districts quickly became overcrowded and gave rise to poor sanitation. Bubonic Plague first broke out in Taipingshan in 1894 and severely affrected the area. These two districts contain many interesting relics of efforts to provide medical services to the community, including Traditional Chinese and Western medicine, as well as attempts at improving sanitation and public health. 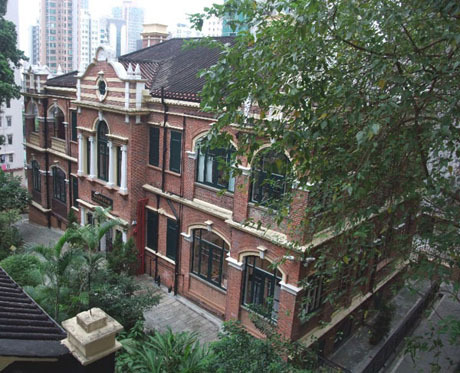 The Taipingshan Heritage Trail, opened in March 2011, was developed by Hong Kong Museum of Medical Sciences and is designed to promote interest in Hong Kong's unique and valuable medical heritage.